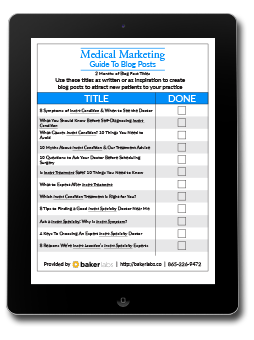 You've probably read the statistics on blogging and you know the biggest benefit is attracting high quality new patient leads. In theory this sounds great, but in practice it can be difficult to come up with valuable content consistently. Especially when all you want to do is focus on treating your patients.